High maternal sugar intake during pregnancy may increase the risk of allergy and allergic asthma in the offspring, according to an early study led by Queen Mary University of London (QMUL) involving almost 9,000 mother-child pairs from Children of the 90s. While some research has reported an association between a high consumption of sugar-containing beverages and asthma in children, the relation between maternal sugar intake during pregnancy and allergy and asthma in the offspring has been little studied. The team, which included researchers from University of Bristol, used data from Children of the 90s, a world-leading birth cohort study. The cohort recruited 14,500 pregnant women in the early 1990s and has been following up their offspring ever since. The current study, which is published today in the European Respiratory Journal, analysed associations between maternal intake of free sugars* in pregnancy and allergy (defined by positive skin tests to common allergens, namely dust mite, cat and grass) and asthma at seven years of age. 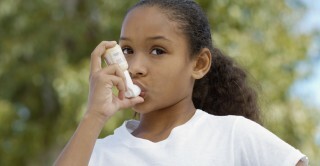 While there was only weak evidence for a link between free sugar intake in pregnancy and asthma overall, there were strong positive associations with allergy and allergic asthma (where the child was diagnosed with asthma and had positive skin tests to allergens). When comparing the 20 per cent of mothers with the highest sugar intake versus the 20 per cent of mothers with the lowest sugar intake, there was an increased risk of 38 per cent for allergy in the offspring (73 per cent for allergy to two or more allergens) and 101 per cent for allergic asthma. The team found no association with eczema or hay fever. ‘We cannot say on the basis of these observations that a high intake of sugar by mothers in pregnancy is definitely causing allergy and allergic asthma in their offspring. However, given the extremely high consumption of sugar in the West, we will certainly be investigating this hypothesis further with some urgency. The team speculate that the associations may be explained by a high maternal intake of fructose causing a persistent postnatal allergic immune response leading to allergic inflammation in the developing lung. The researchers controlled for numerous potential confounders in their analyses, such as background maternal characteristics, social factors and other aspects of maternal diet, including foods and nutrients that have been previously linked to childhood asthma and allergy. Importantly, the offspring’s free sugar intake in early childhood was found to have no association with the outcomes seen in the analysis. As the study is observational, it does not prove a causal link between maternal sugar intake and allergies or asthma. A randomised controlled trial would be needed to definitively test causality. * Free sugars comprise sugars (monosaccharides and disaccharides) added to foods or drinks by the manufacturer, cook, or consumer, and sugars naturally present in honey, syrups, and unsweetened fruit juices. The intake of free sugars was estimated by a food frequency questionnaire in the last trimester of pregnancy. The study was funded by a European Respiratory Society long-term fellowship.